Looking for a reliable family car to drive the kids to school, around town, and even enjoy road trips? 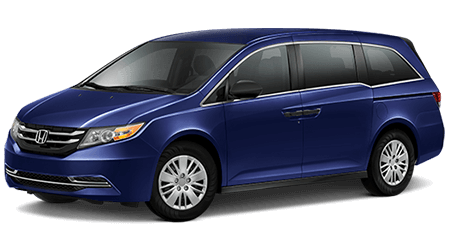 Then check out the 2016 Honda Odyssey. With the different models to select from, you'll have no problem finding that one was meant for you! If you're in the Northern California area of Sacramento, then stop by Lodi Honda. The friendly dealer is located at 1700 S. Cherokee and serves Stockton, Elk Grove, Sacramento, and the San Joaquin Valley. Lodi will help you with selecting the right Honda for you for the best price possible! Safety features in the 2016 Honda Odyssey include vehicle stability assist with traction control, anti-lock braking system, electronic brake distribution, brake assist, tire pressure monitoring system, daytime running lights, front / side airbags, advanced compatibility engineering body structure, and child-proof rear door locks. 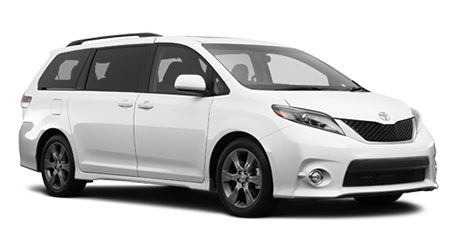 Safety features in the 2016 Toyota Sienna include eight standard airbags, star safety system, seatbelts, pre-collision system, and Child safety locks. It's all about driver and passenger comfort when it comes to these cars. The Honda Odyssey has 39.7" of Headroom and 40.9." of Legroom. The cargo volume is 38.4 cu ft. Seating capacity is 7. The Toyota Sienna has 41" Headroom and 40.5" of Legroom. The 2016 Honda Odyssey has an MPG Rating of 19 City / 28 HWY. Features include an internal vacuum, Honda LaneWatch, HondaLink next generation, multi-angle rearview camera, power sliding doors, and Blindspot information Assistance. The Toyota Sienna has an MPT rating of 18 City / 25 HWY. Features include star safety system, vehicle dynamics integrated management, front / side airbags, child safety locks, pre-collision system, and an anti-theft system. If you're in the Sacramento area, stop by Lodi Honda. Located at 1700 S. Cherokee, Lodi Honda serves Stockton, Elk Grove, Sacramento and The San Joaquin Valley. The friendly dealer will help you with selecting the car to create a financial plan so that you can be a new owner of a 2016 Honda Odyssey!